Gliding on the South Downs dates back to the 27th of June 1909, when 16 year old Gordon England flew from Amberley Mount, a few miles west of the present site. 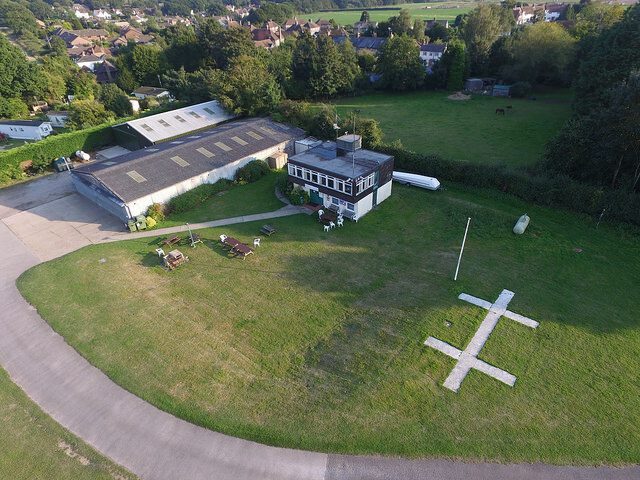 Southdown Gliding Club was formed in 1930, so is one of the oldest in Britain and is also one of the largest and best equipped voluntary clubs in Britain. We are closely affiliated to the British Gliding Association, which controls all aspects of the sport. Our location close to the South Downs allows us to soar on the updraughts or lee waves from the Downs, ride the seabreeze fronts, or soar in thermals. Our fleet consists of three modern two seat training gliders, three single seat gliders, and one motor glider, along with three tug aircraft for aerotows. Members keep over forty privately owned gliders at the airfield including several motor gliders. While many members enjoy local flying, some regularly make cross-country flights of 300km or more. There have been at least four flights in excess of 750km. Others participate in various levels of competition. Courses on all aspects of gliding are held throughout the year. Expeditions to other gliding clubs both in Britain and overseas are another popular activity. Southdown Gliding Club is a Community Amateur Sports Club (CASC), and fully supports the promotion and participation in the sport of Gliding. To find out more about our fees and tariffs that could suit you, please see our Fees and Tariffs page.